Changing bags, parasols, upholders, and all the rest! 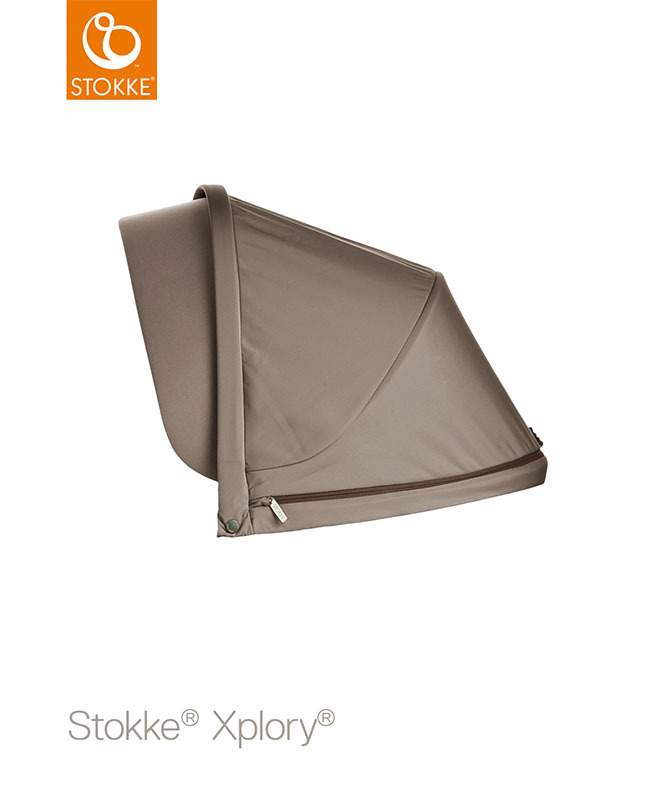 Includes mosquito net and rain cover. 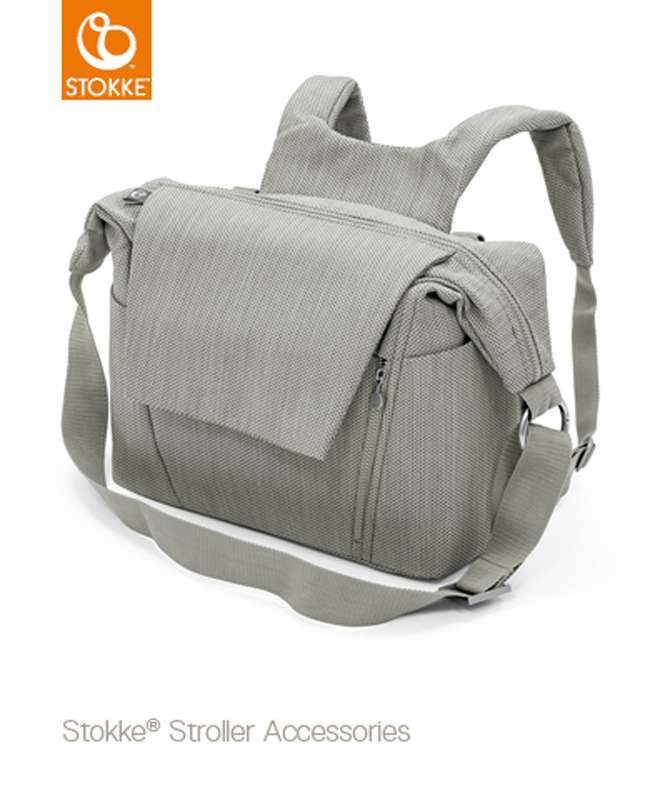 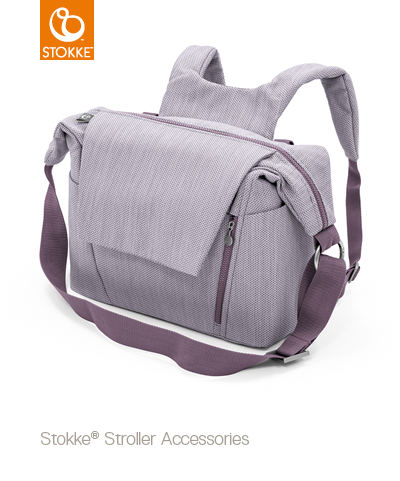 The Stokke® stroller Changing Bag has had a upgrade: it can now be used as a highly versatile back pack. 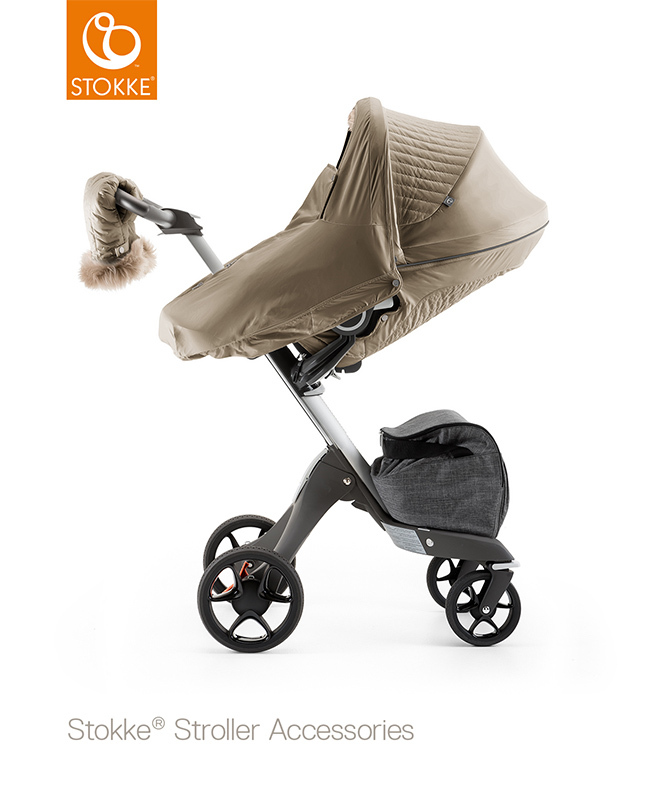 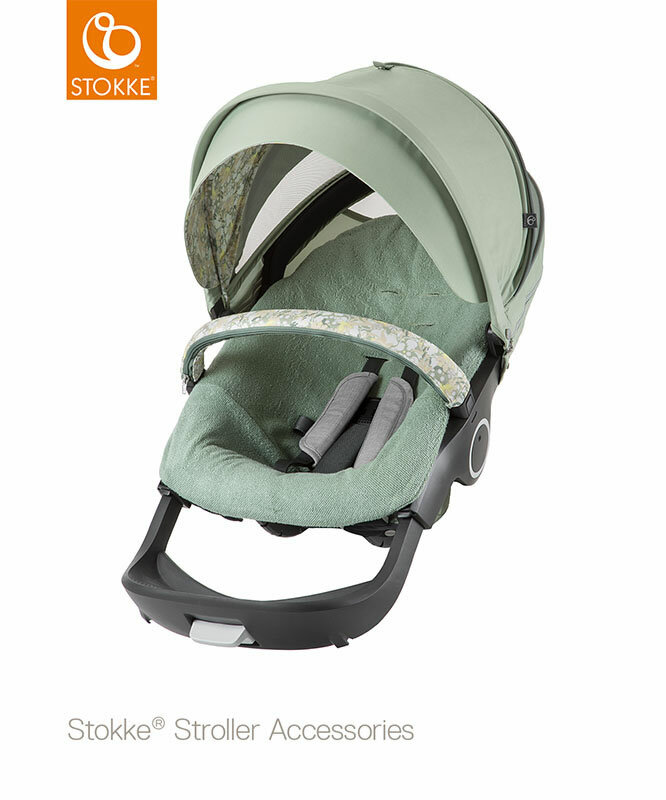 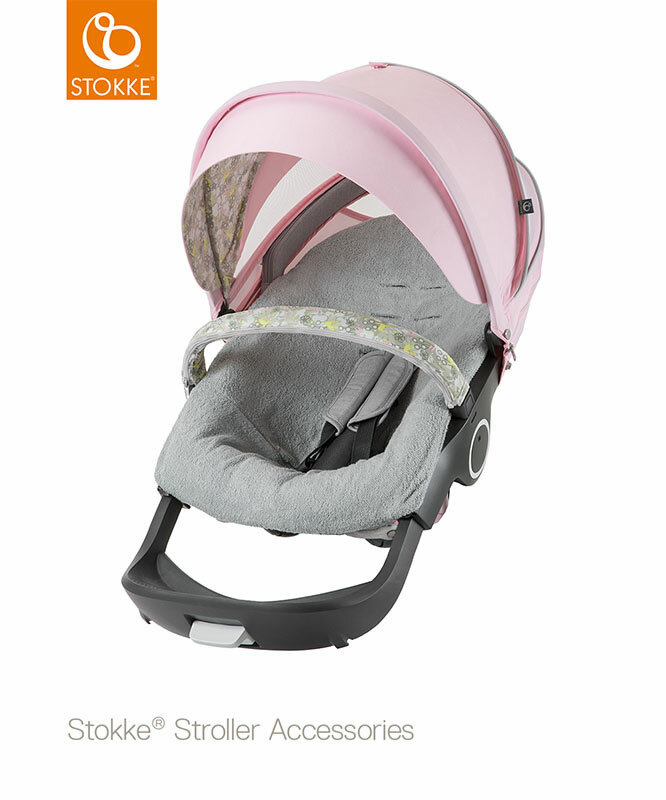 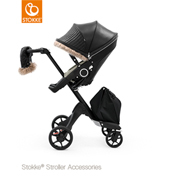 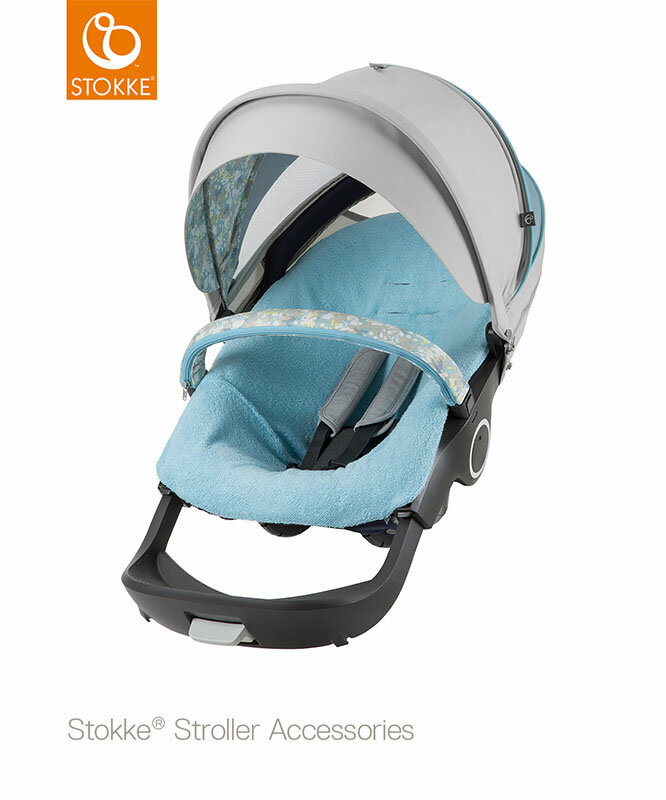 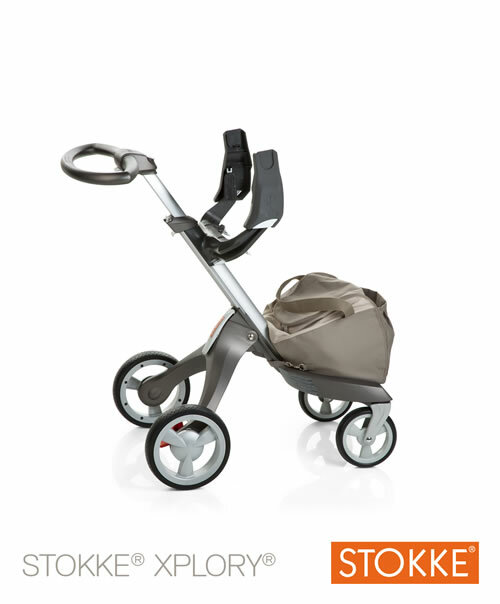 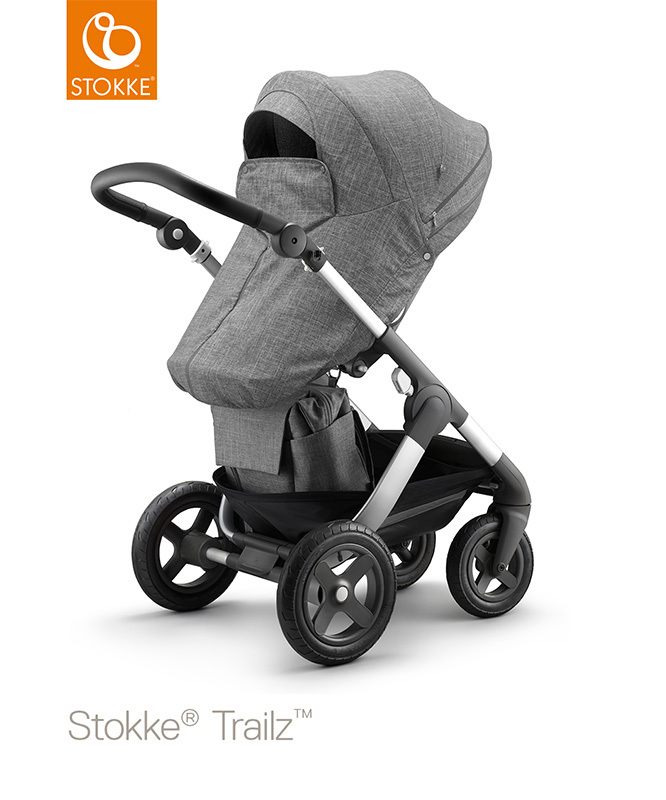 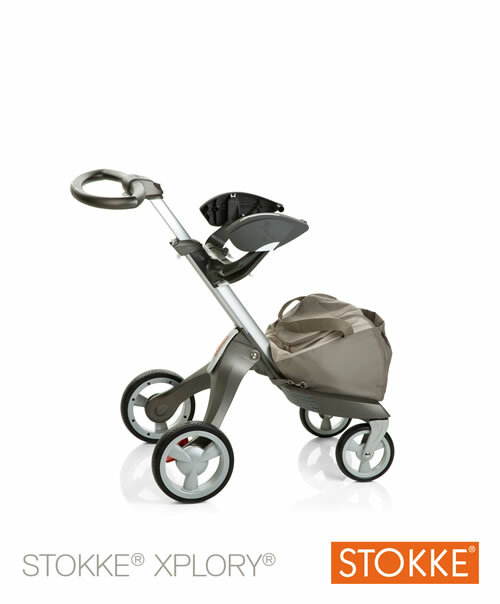 The perfect accesory for Stokke Xplory, Trailz and Crusi. 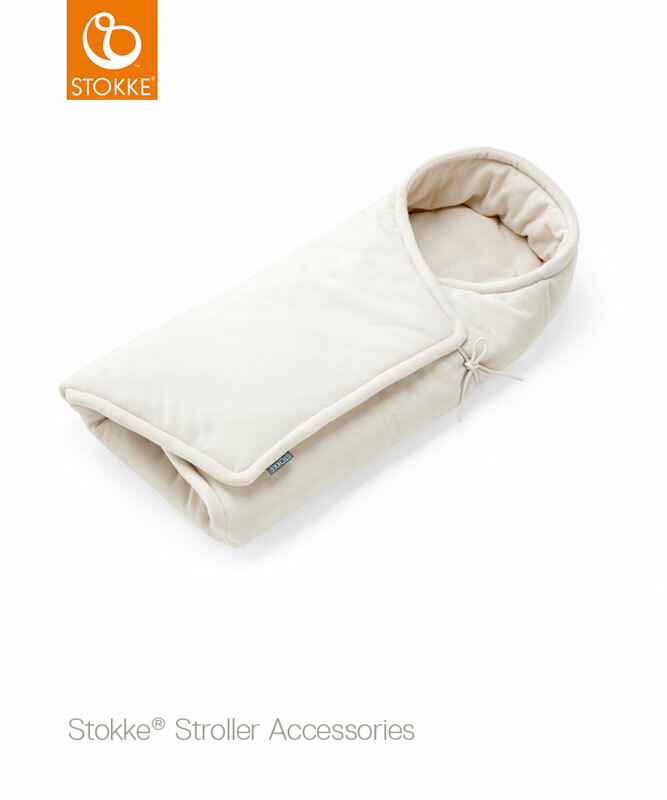 Perfect for keeping your little one warm. UV Protected. 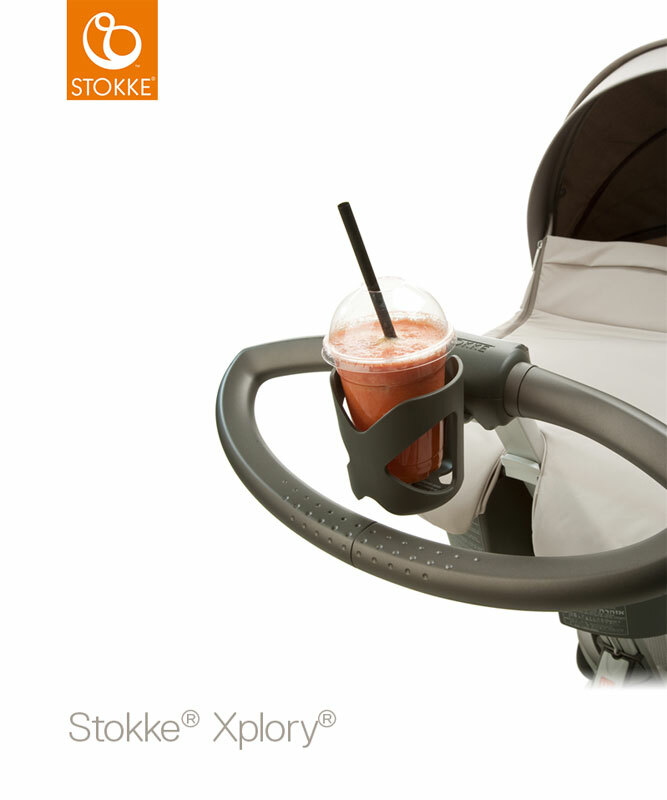 It has a bendy silver stem so that you can ensure your child is always protected. The complete hood with cap (visor). 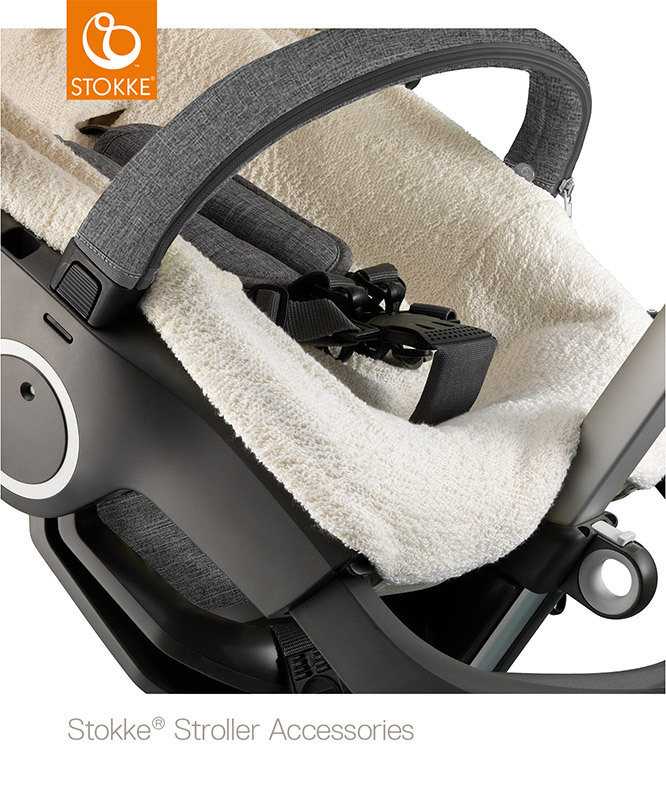 Designed to create greater airflow around and through the seat to keep your child cool. 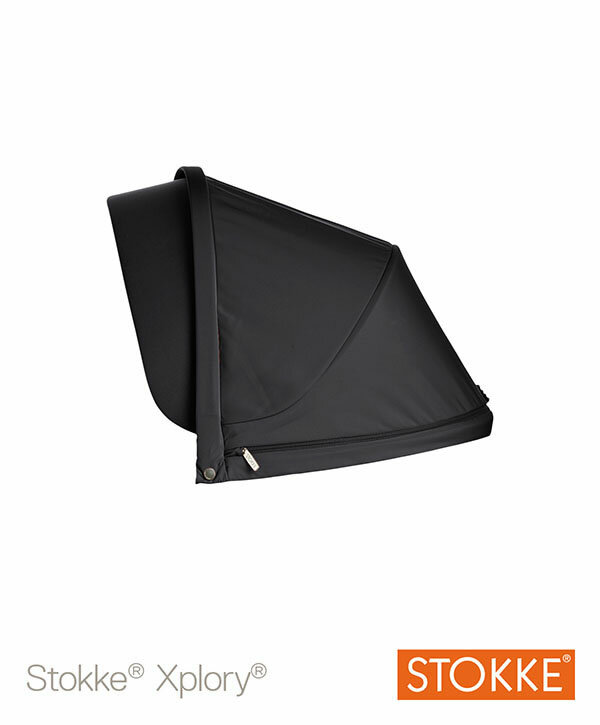 The sun sail is UV protected and can be adjusted to protect from direct sunlight. One size fits both the Carrycot and the Seat Unit. 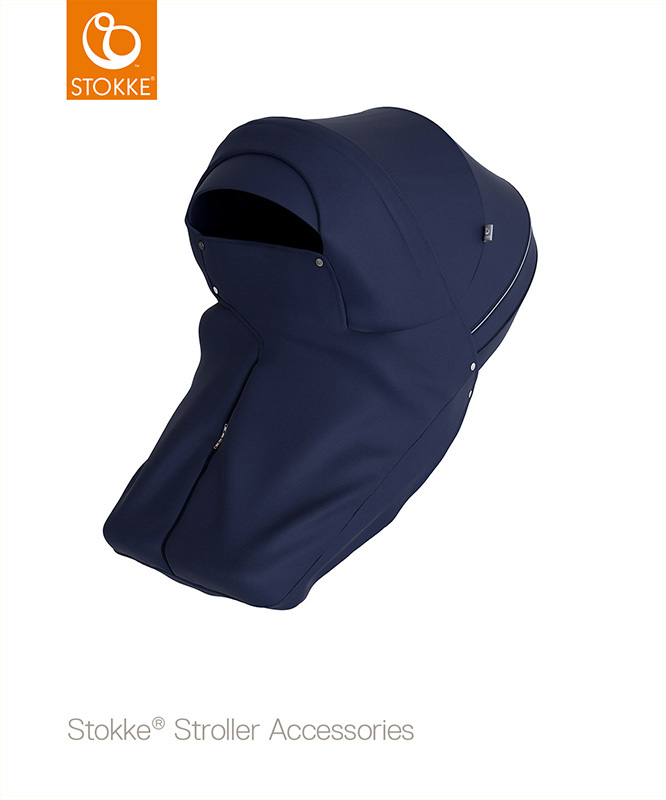 Includes the Hood with Visor, SunSail, Seat Liner, Seat Rail Cover and Rear Textiles Cover. 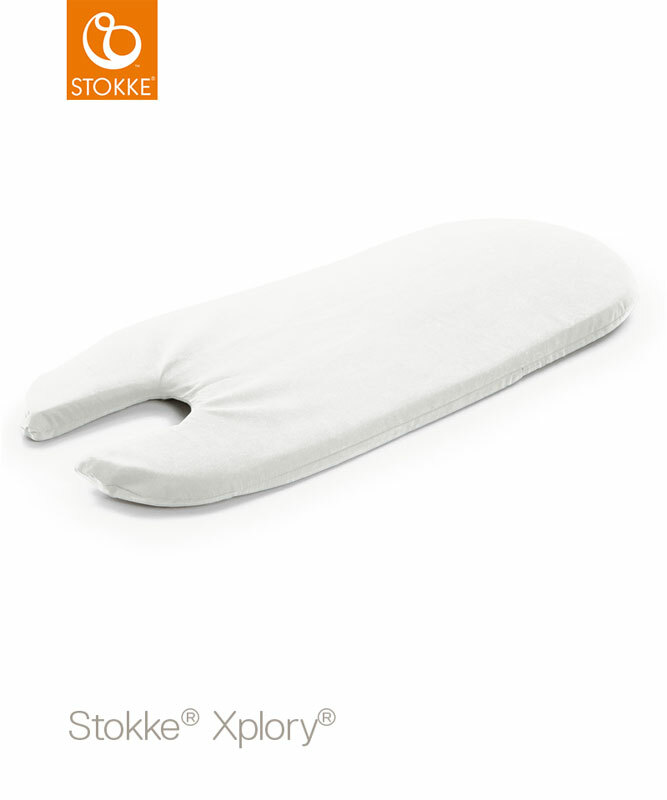 Perfect all year round to keep away the cold. One of our favourite accessories. 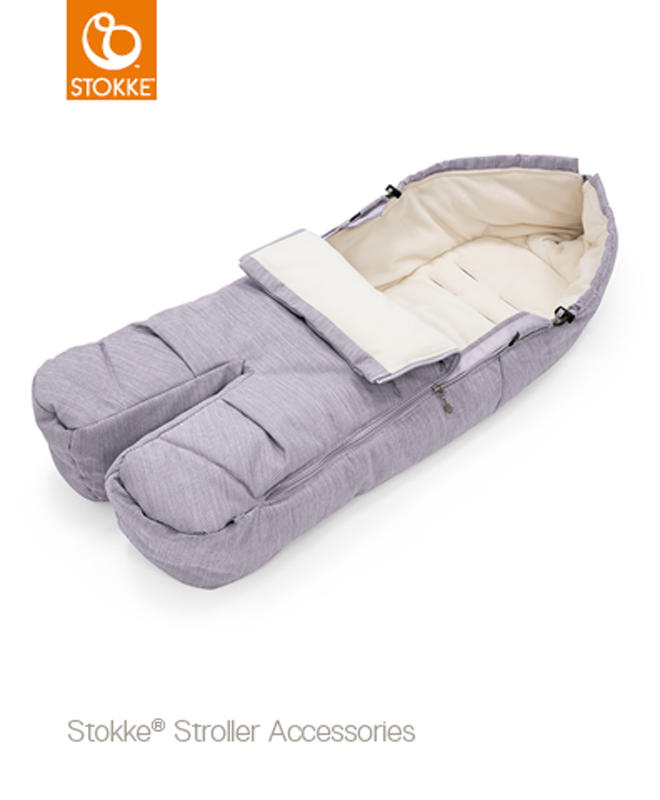 It looks great with the wool trim and practical to keep your baby warm in the most testing climates. 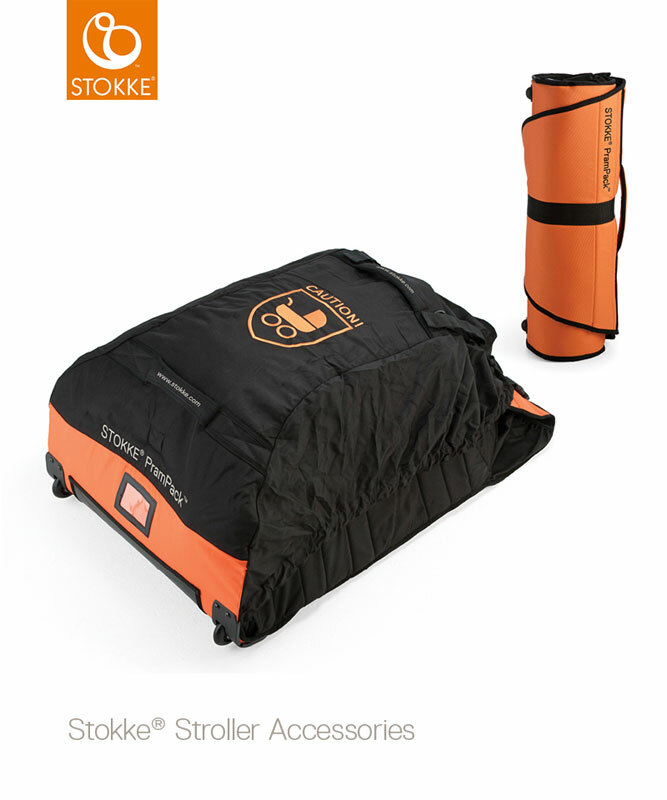 The winter kit is waterproof and has additional protection to protect your child from winter chills. 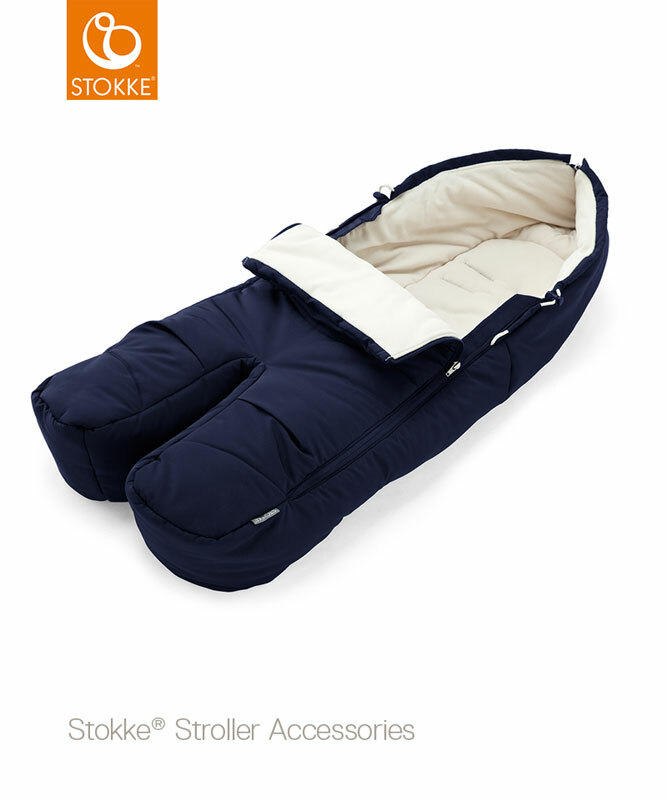 1 size fits both the Carrycot and the Seat. 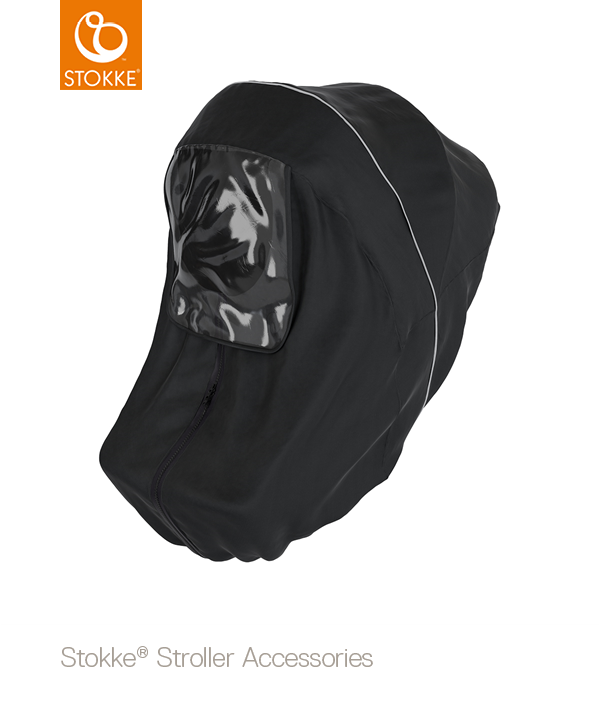 Includes the Hood, Hand-warmer, Storm Cover and Rear Textiles Cover. 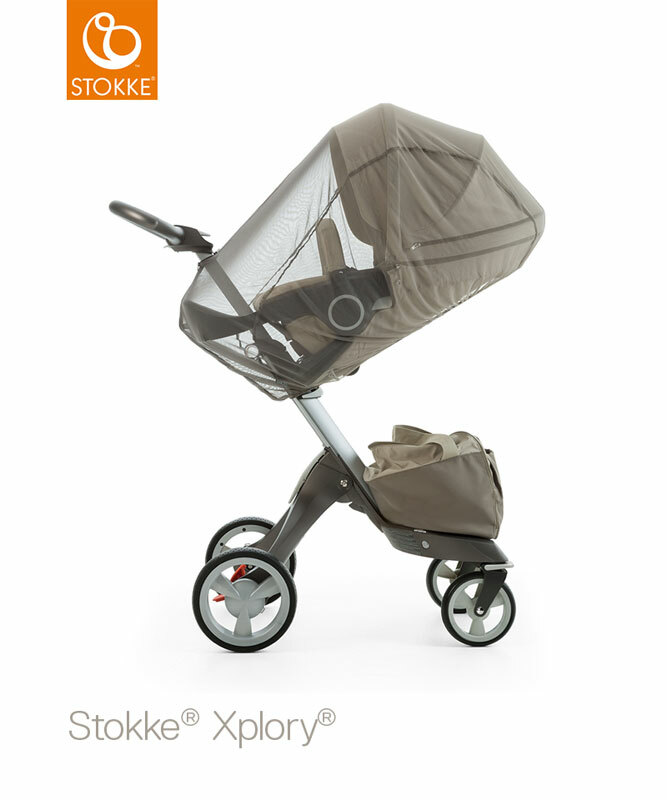 Compatable for new Stroller seat and Xplory® CarryCot. 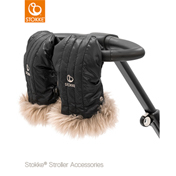 Hood with attachable Sheepskin Rim. 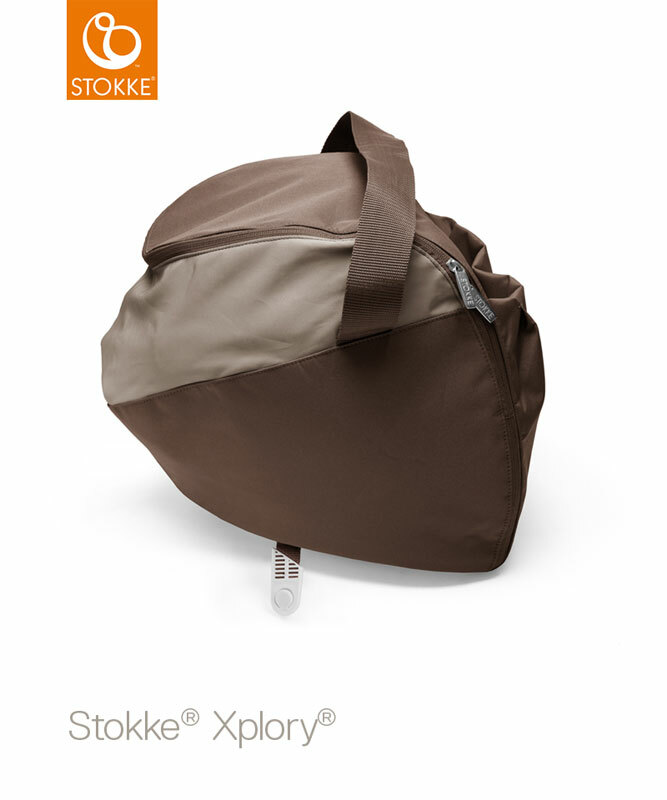 Storm Cover, handmuff and Rear Textile Cover. 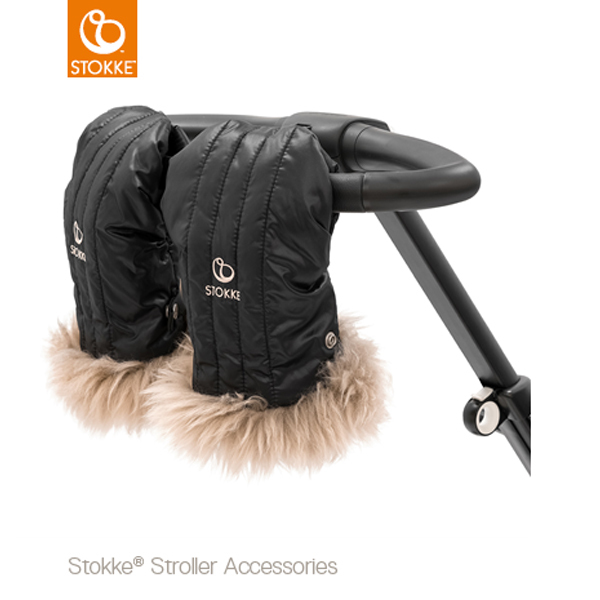 Excellent addition to the Winter Kit. 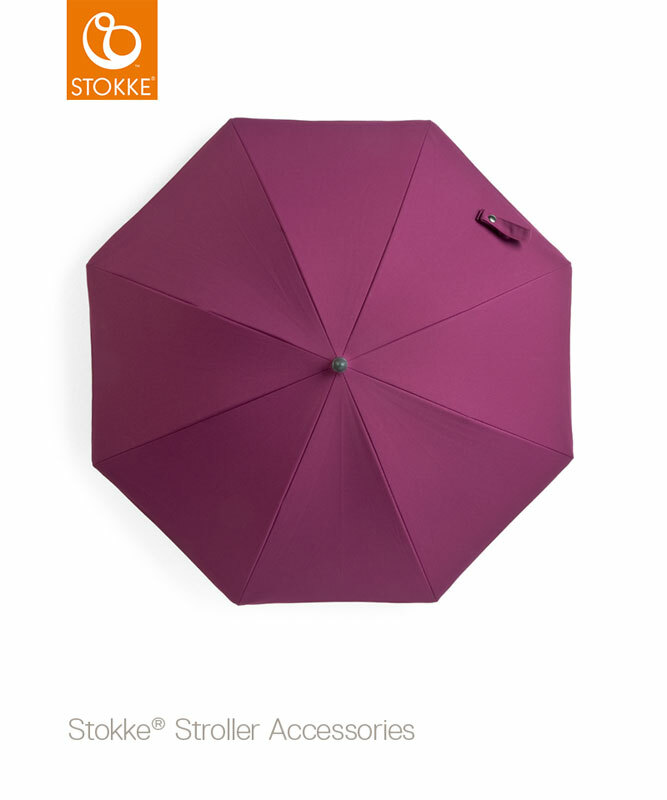 Not only is it colour co-ordinated (we know that's important to you), it's warm, water-resistant and the perfect protection for your little one. A true luxury and worth every penny. 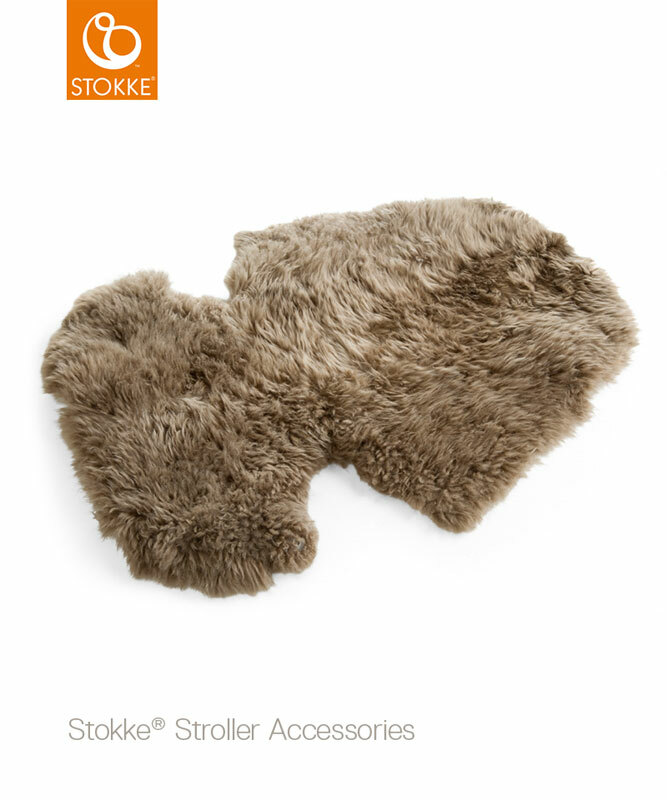 Made from the best uncut wool, it adds extra warmth and comfort. 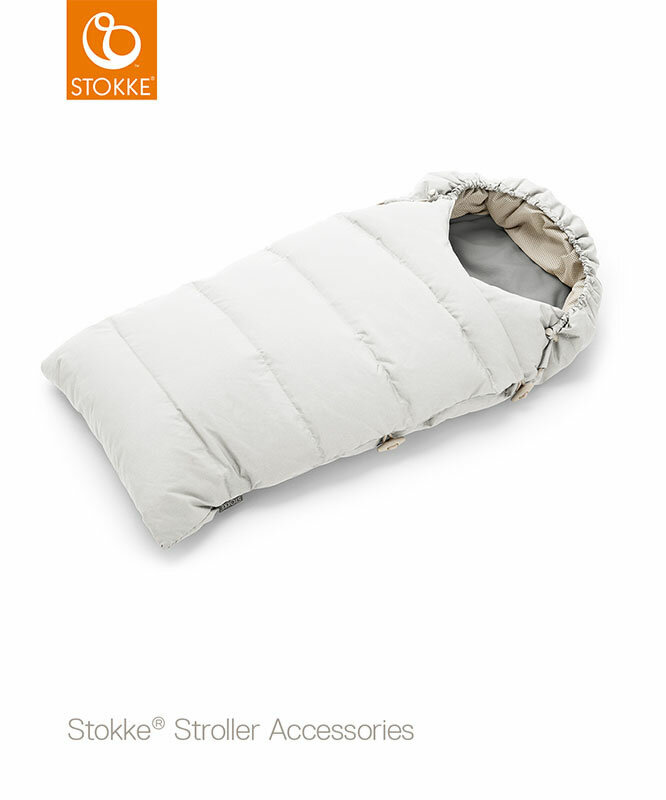 Reversible, suitable for all weathers. 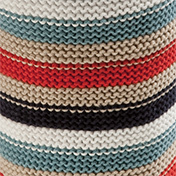 Wool for warmth and cellulose for cooling. 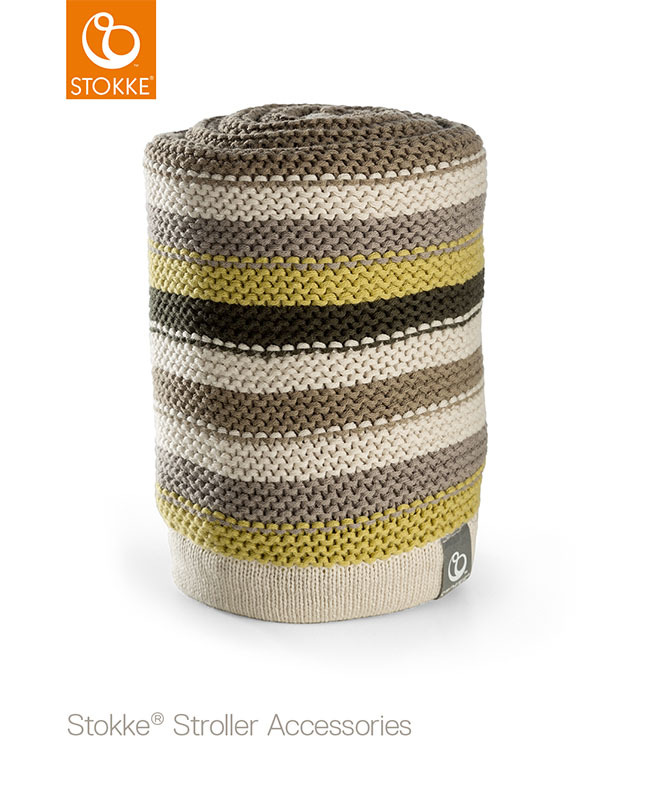 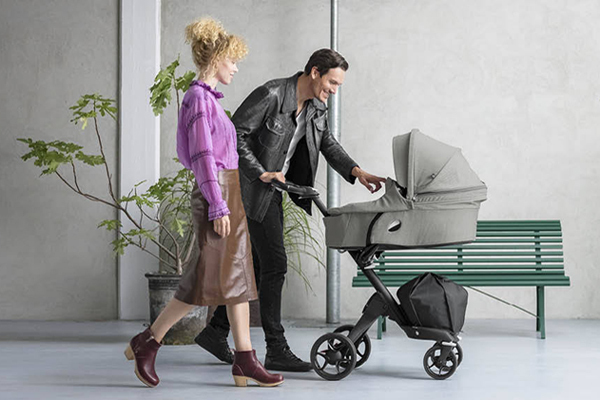 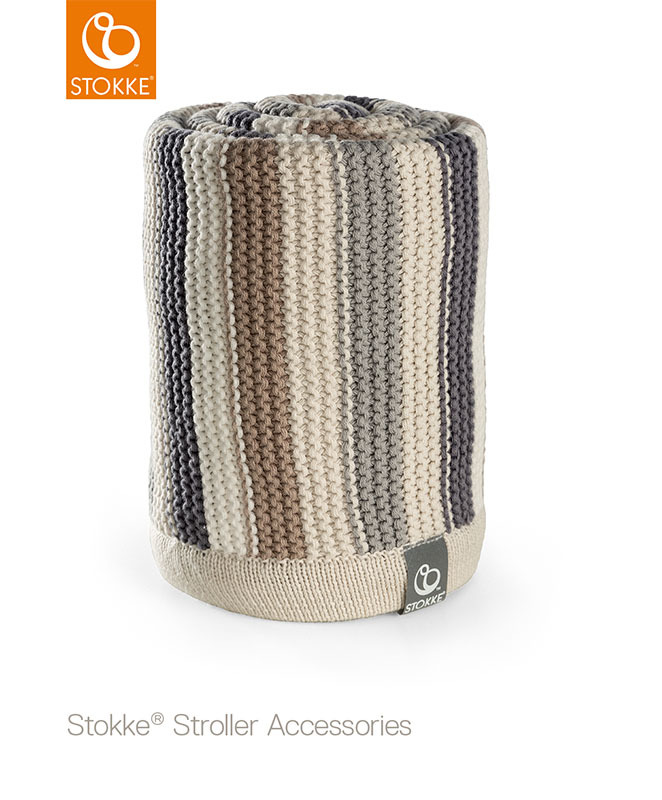 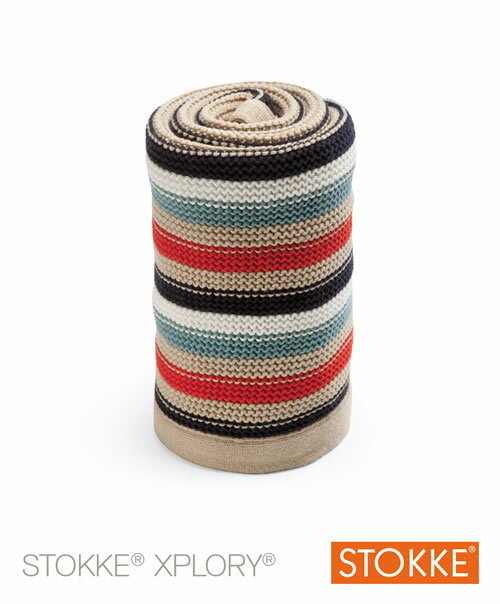 Also known as the celebrity blanket, it helps shield your child from the inevitable attention that you will get from strolling around with a Stokke pushchair. 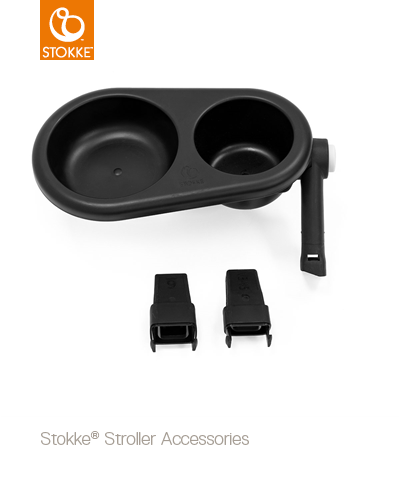 Clips to the handle, perfect for strolling with a drink. 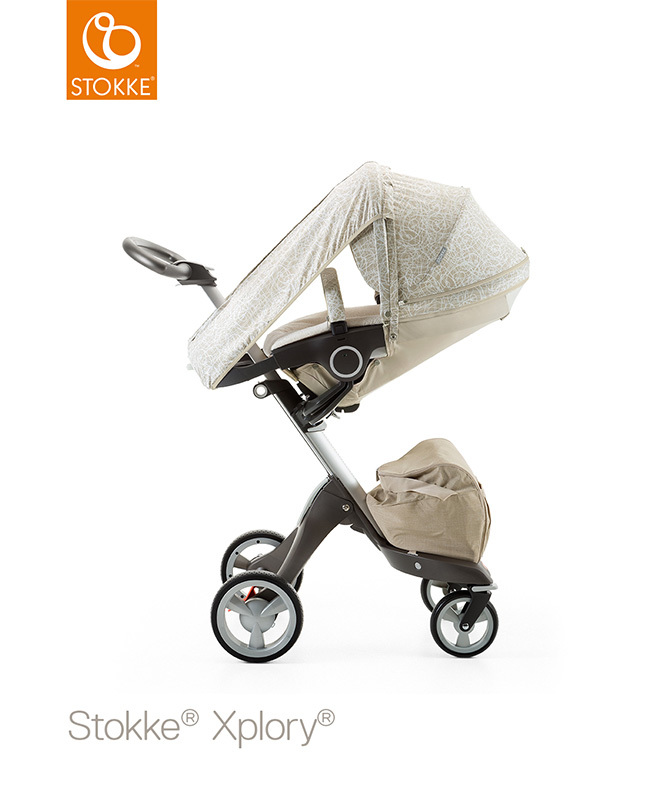 Fits Xplory and older, Crusi, Scoot and Trailz. 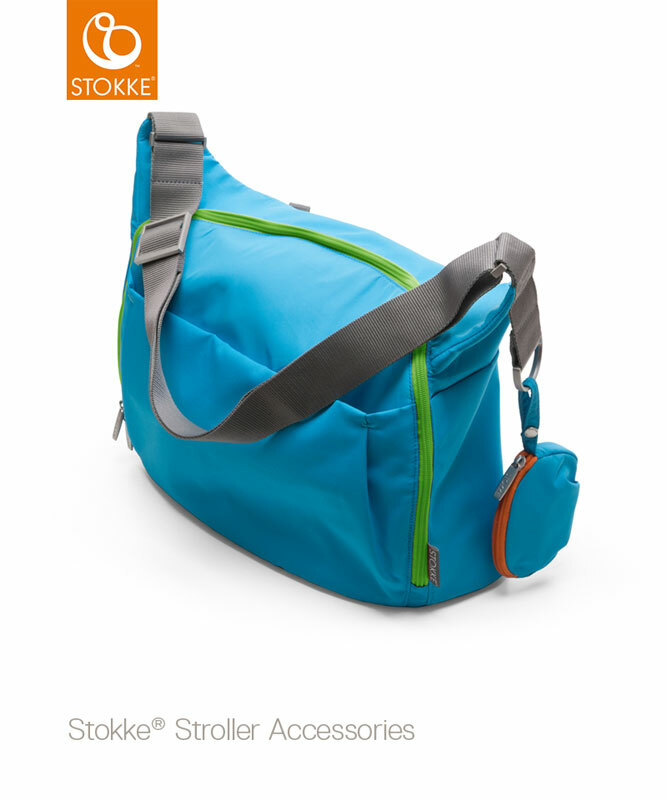 Perfect for your child to reach for their favourite on the go snacks. 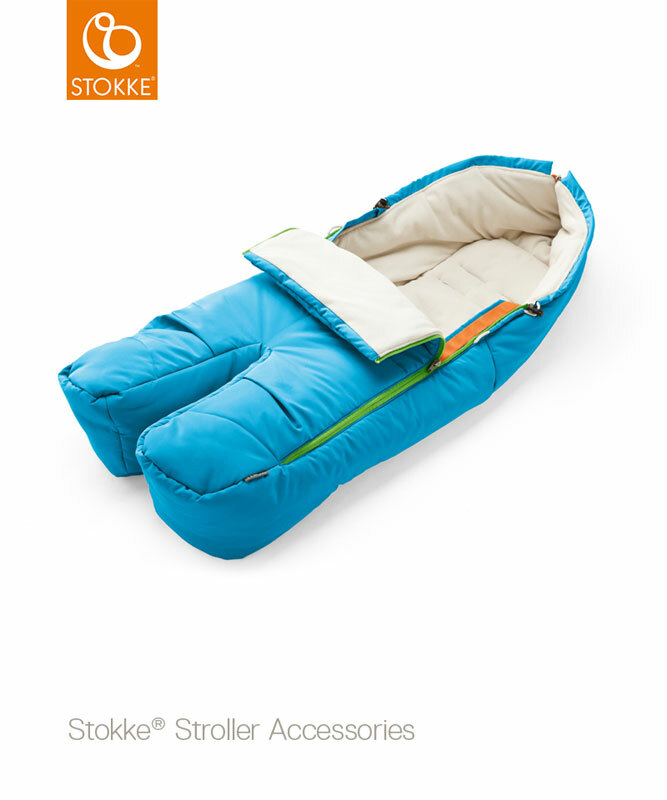 Handy for those days where you and your child are having busy days. 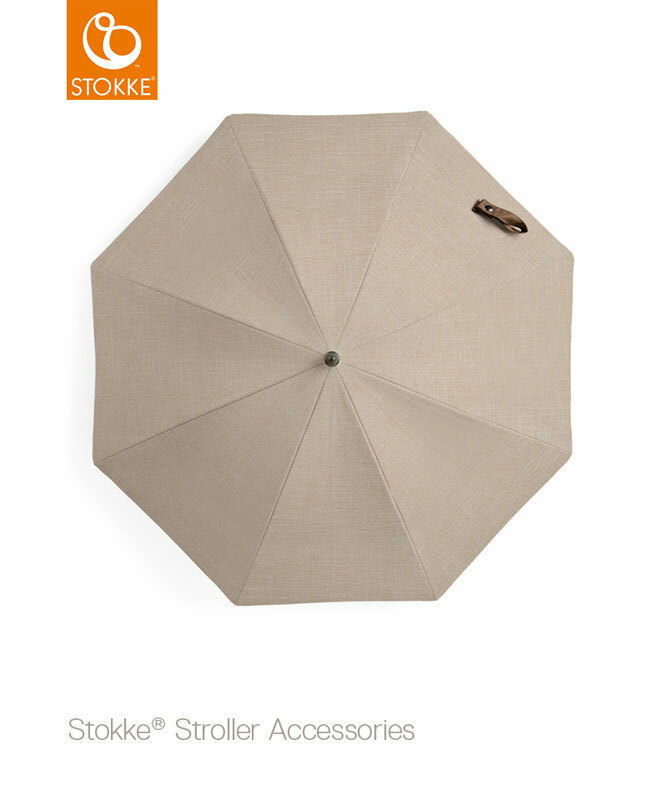 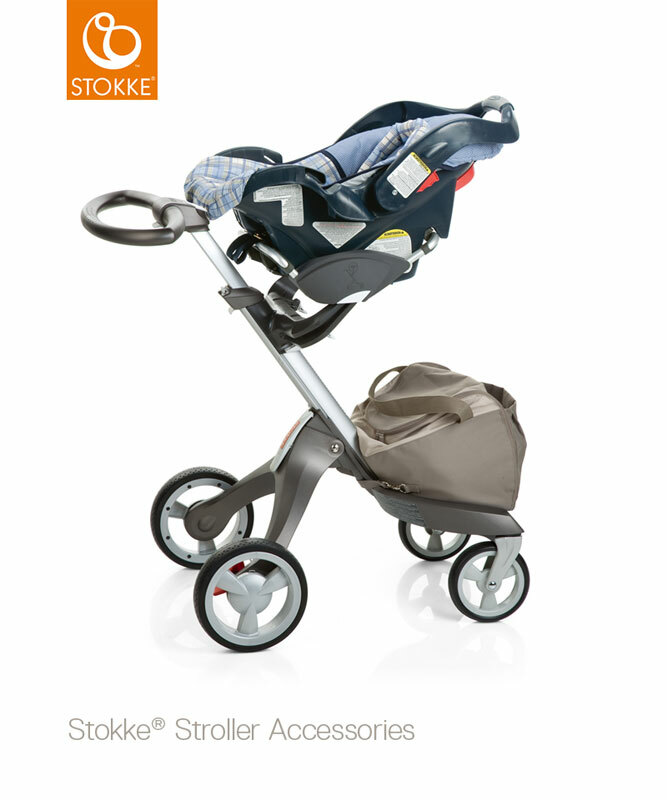 Easy fit to all Stokke Strollers. 1 size fits both the Baby Bag and the Seat Unit. 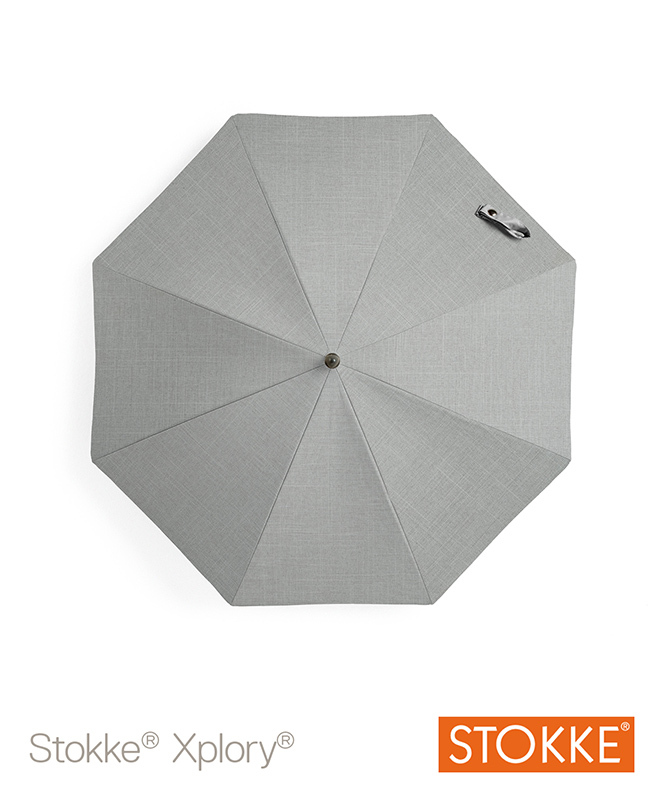 Protection from the wind, rain and other elements. Washable fitted sheet. 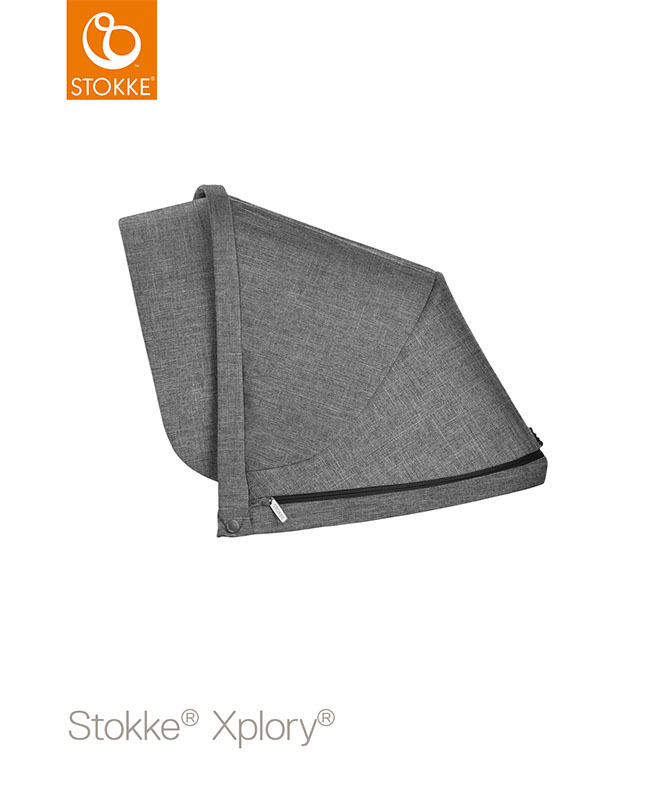 2 sheets per pack. 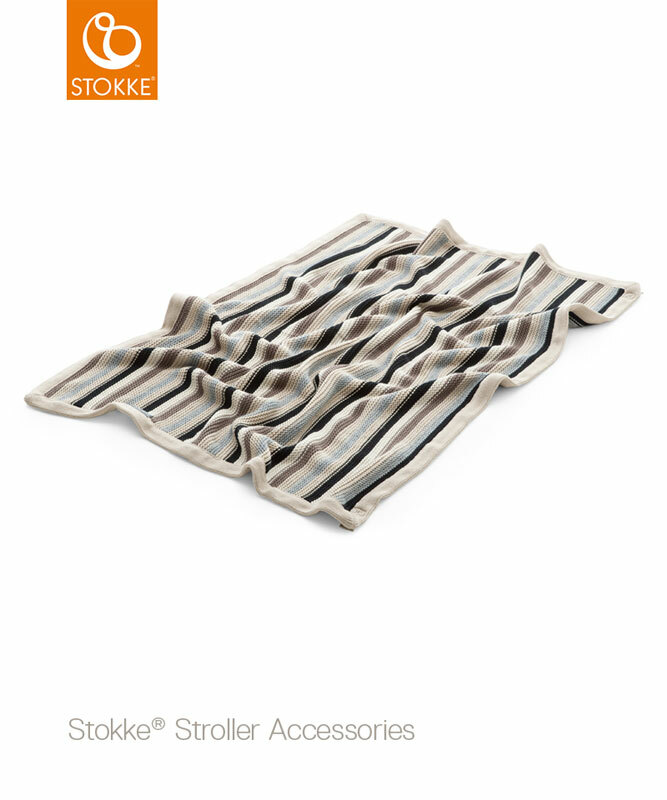 100% cotton, the terry cloth seat cover has been designed to keep your baby cool and comfortable. 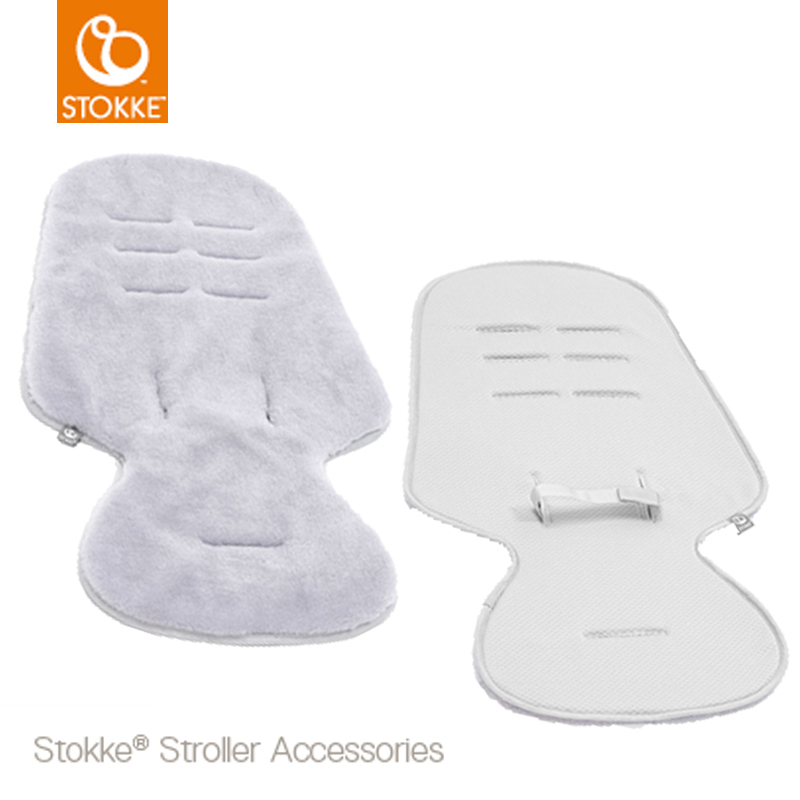 Provides a soft, dry seat for your baby. 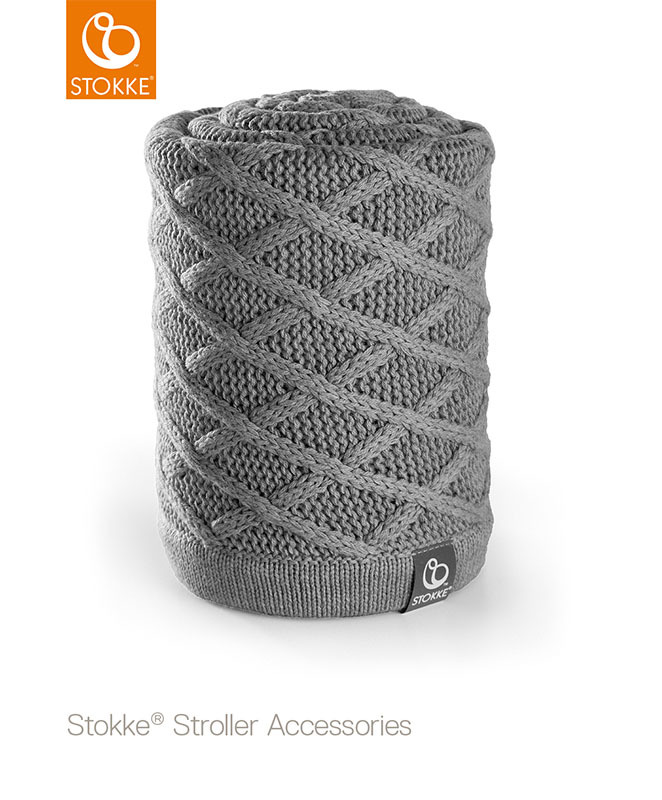 Absorbs moisture and provides ventilation. 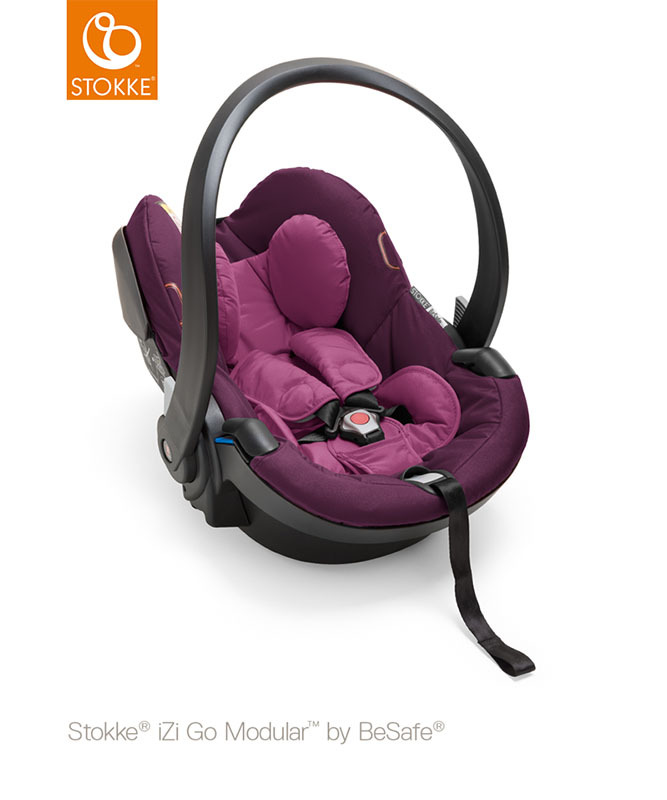 The shape contours to the seat and has openings for the harness. NB This is not compatible with the Stokke Scoot. 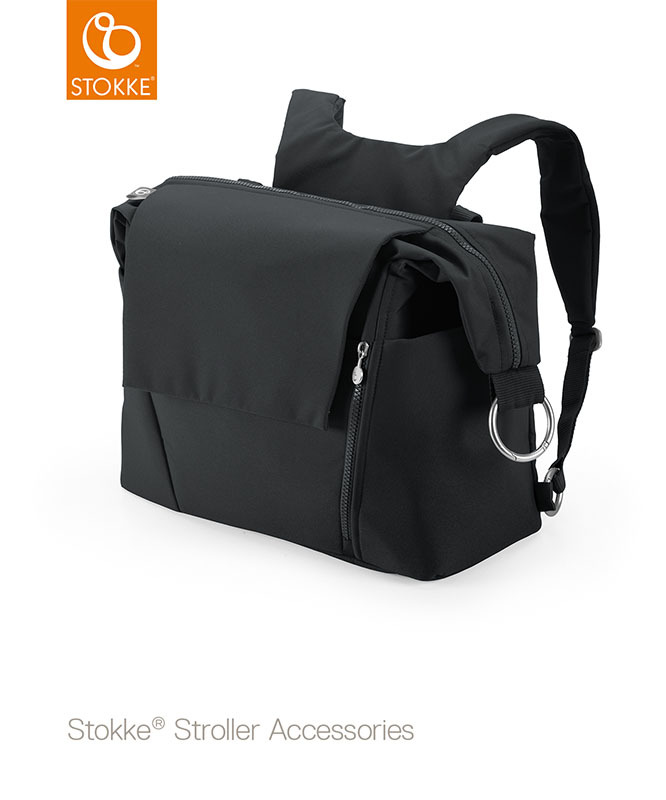 Adds a sporty look to your stroller. 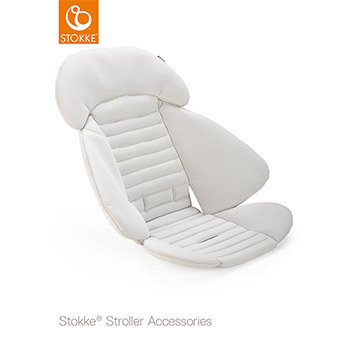 Gives added comfort to the seat for a comfortable ride. The shape contours to the seat and has openings for the harness. 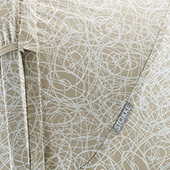 The inlay is reversible.Made of 100% suede surface polyester. 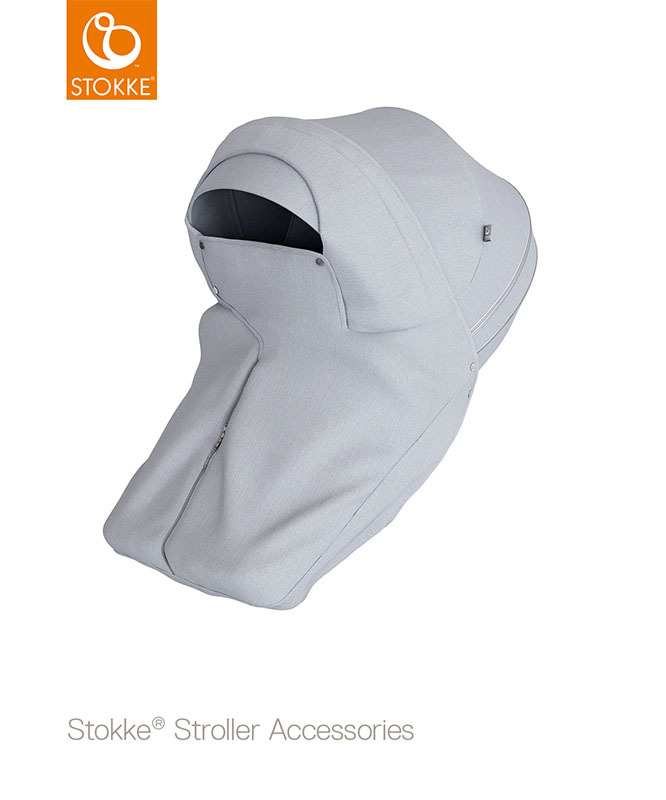 NB This is not compatible with the Stokke Scoot. 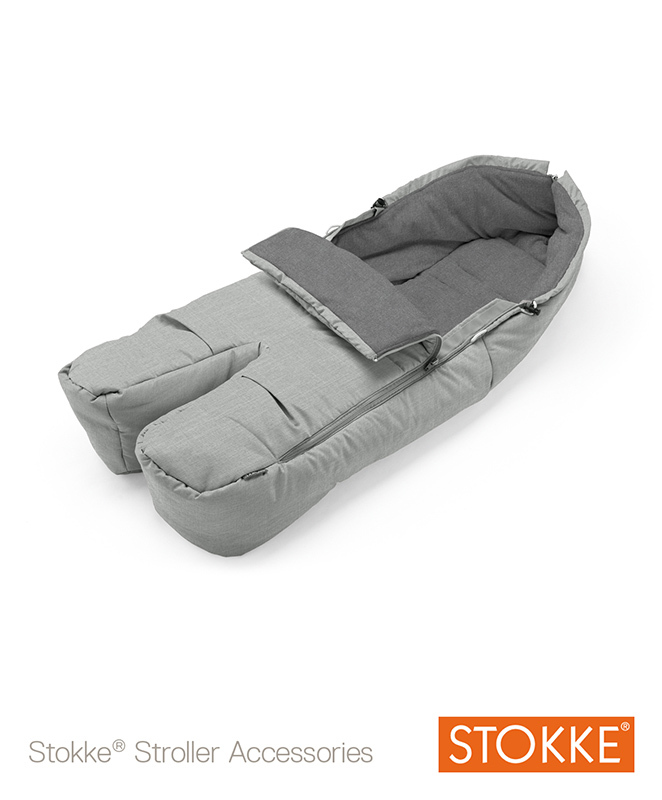 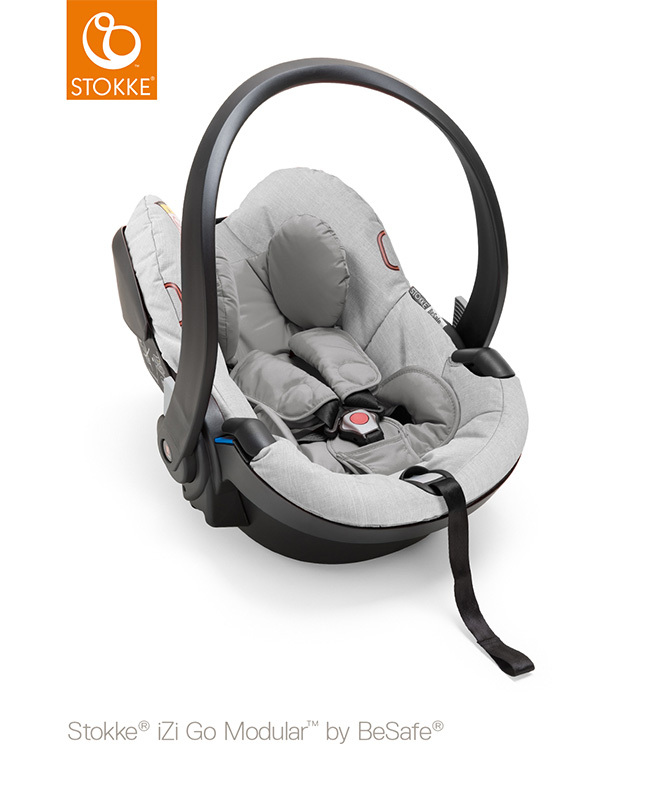 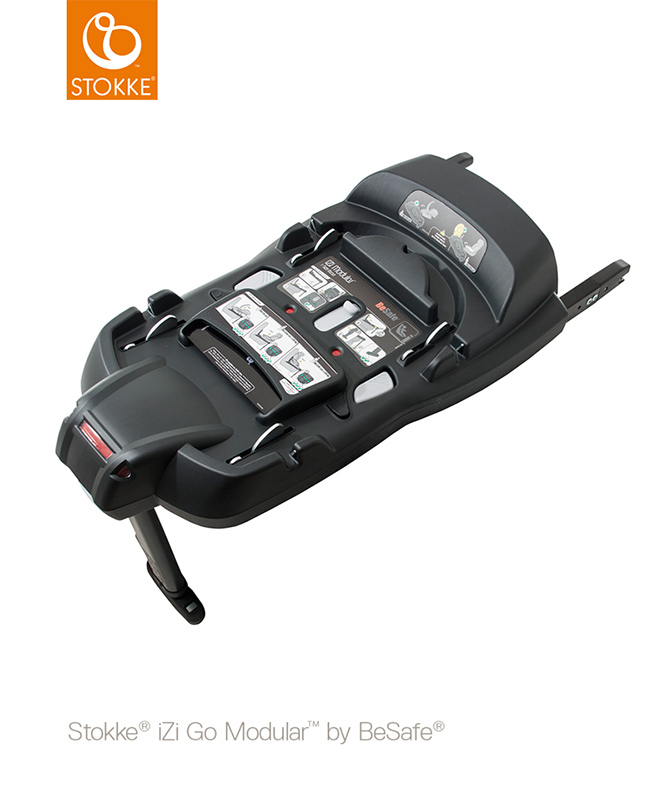 The iZi Go Modular Car Seat by BeSafe fits perfectly on to the Stokke Scoot, Crusi and Xplory. 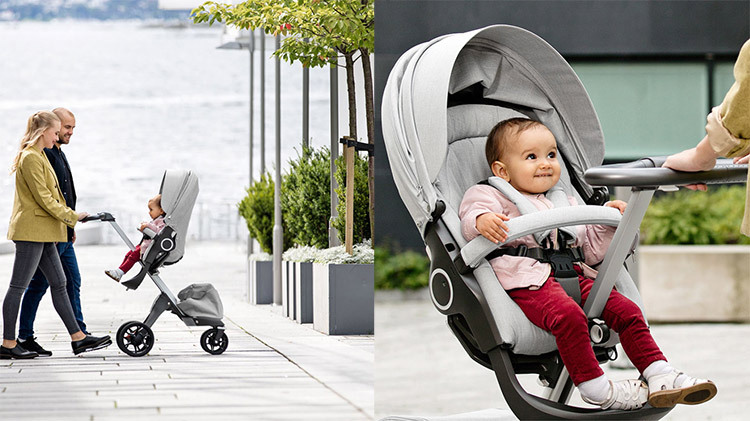 In the car, iZi Go Modular can be safely secured with the car seat belt; for ultimate safety though, use in conjunction with the iZi Go Modular ISOfix car seat base. 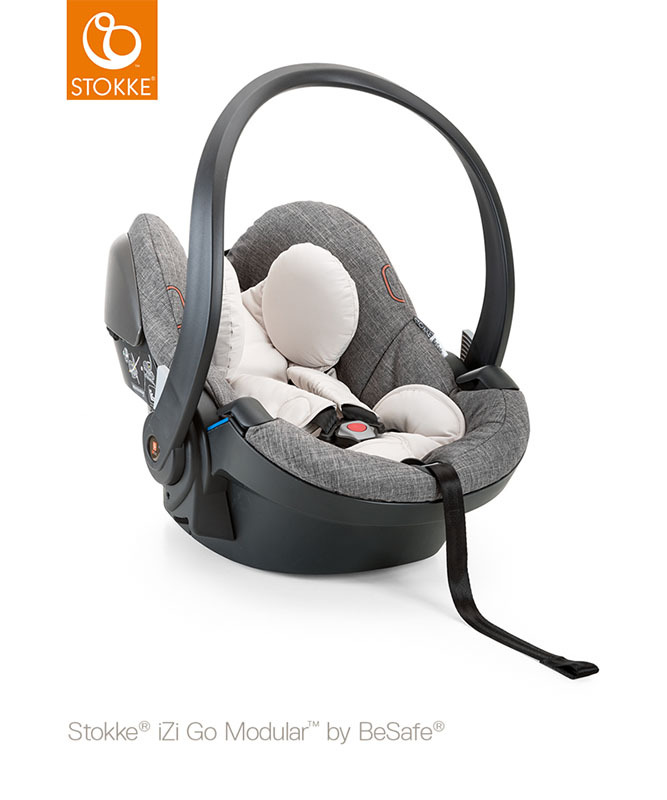 The Stokke® iZi Go™ Modular ISOFix Base by BeSafe® is a semi-universal Child Safety Seat System that enables you to quickly and safely install your Stokke® iZi Go™ Modular by BeSafe® car seat in a car without having to use the car's own seat belts. 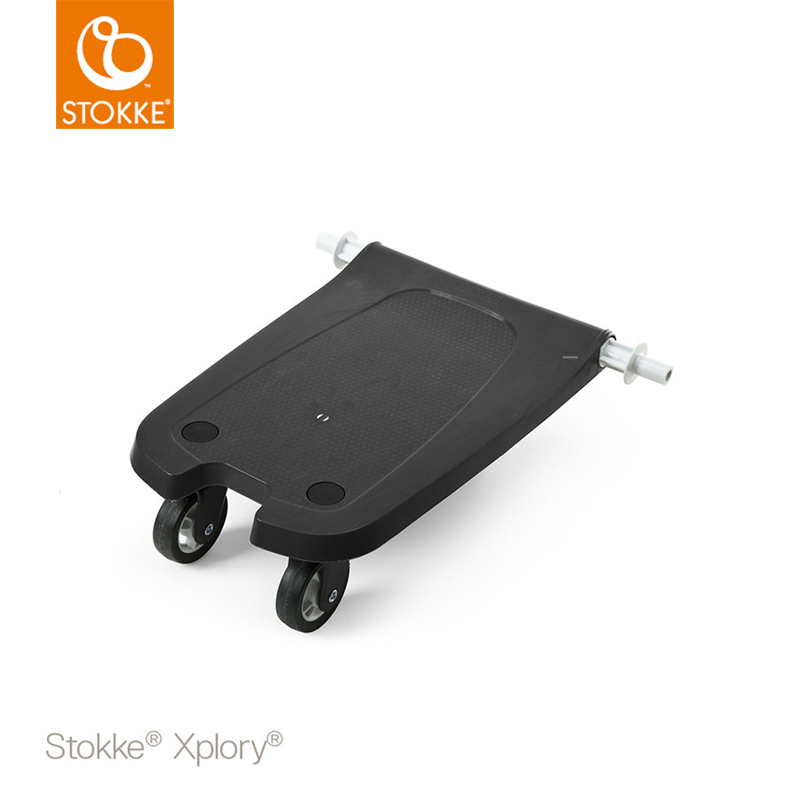 This is an adaptor that joins your pre-existing car seat to your existing Xplory, Scoot or Trailz Chassis. 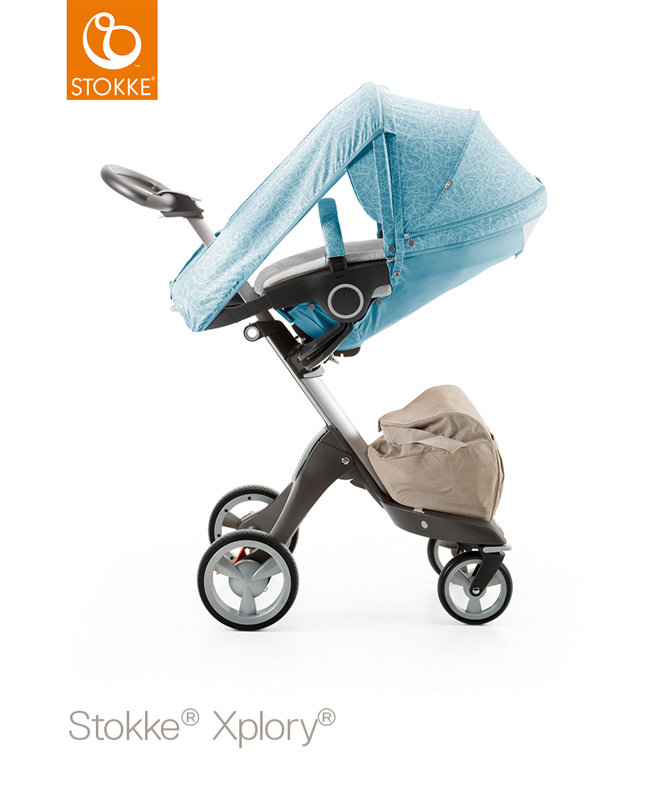 Maximum protection whilst travelling, it fits the Xplory, Trialz, Scoot and Crusi perfectly as well as most other strollers too. 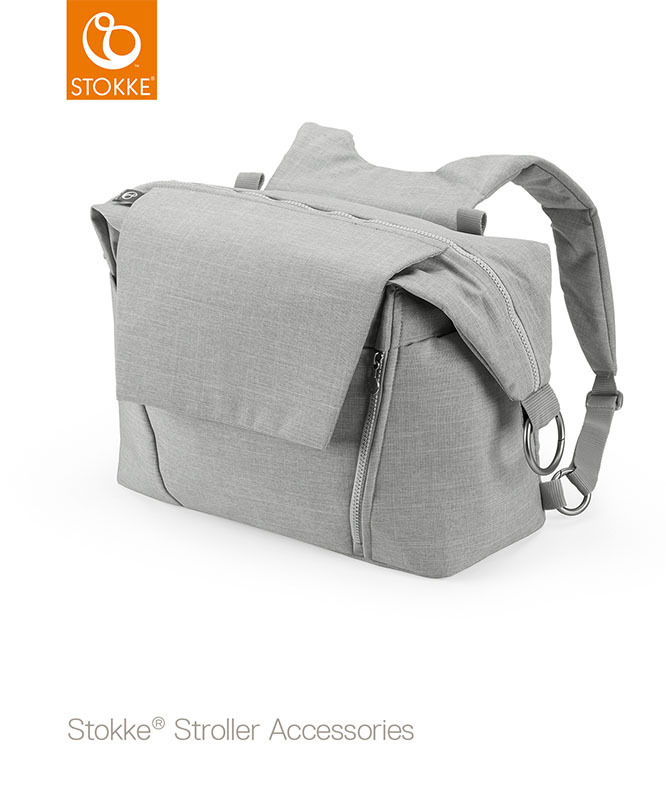 Once you arrive at your destination simply roll the Stokke ® PramPack ™ up for easy storage and throw it over your shoulder for convenient mobility. 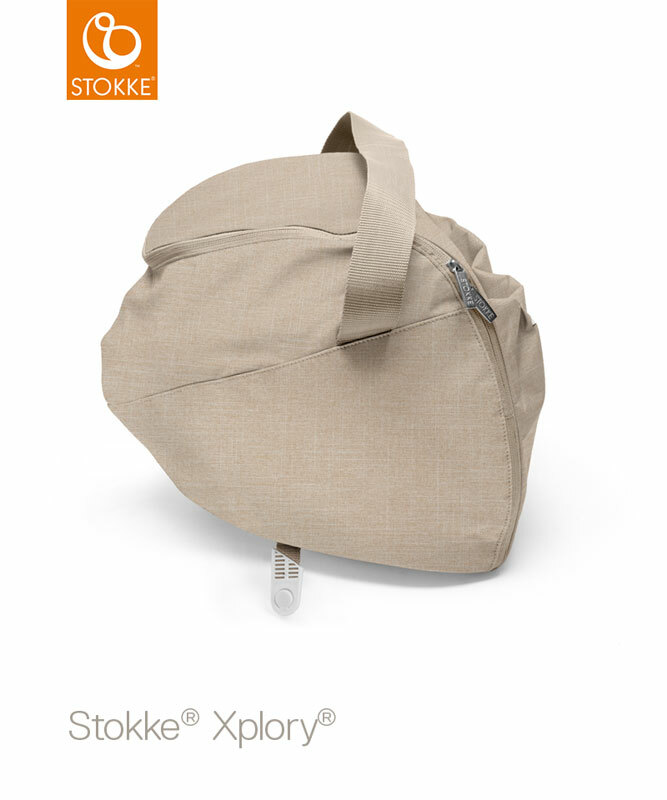 This was designed with baggage handlers in mind. It has been Airline Approved, which means should you have any issues with damage during flight, you can make a claim from your airline before leaving the airport.